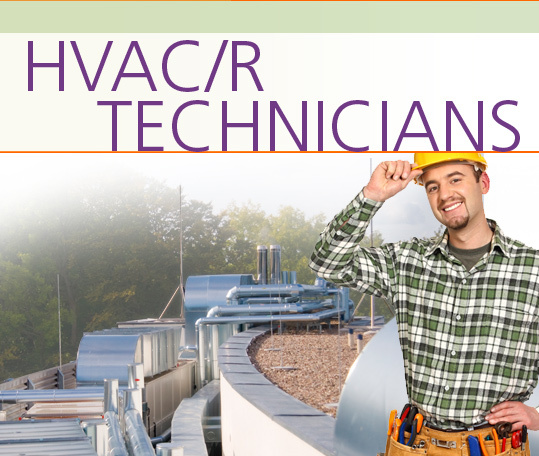 An HVAC/R Technician installs, maintains and repairs heating, air conditioning and refrigeration systems. In the HVAC/R Technicians Career Extension, students learn how to interview for a job and discuss their education, training and work experience. They learn about job responsibilities and work conditions, and discuss equipment and supplies. They talk about the steps for installing a gas boiler and how to diagnose a problem. They learn how to deal with feedback from both clients and superiors and talk about their strengths, weaknesses and goals for the future.